Leicester City’s fairy-tale story continues after a historic 2-0 victory (3-2 on aggregate) over Europa League champions Sevilla at the King Power Stadium ensured qualification to the quarter-finals of the Champions League. 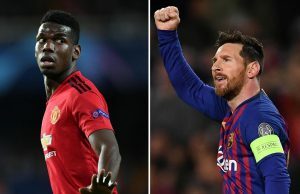 The Champions League debutants are only five games away from living the dream of winning the elite European competition for the first time in the club’s 133 year history. They have been known for defying the odds in recent times after winning the Premier League at 5000-1. Winning another major title would be considered a miraculous achievement, especially considering the struggles the club were going through only a couple of weeks ago. The Leicester City owners were under immense pressure for sacking Claudio Ranieri shortly after the 2-1 defeat to Sevilla in the first leg. After guiding the relegation battlers to their first ever Premier League title in his debut season with the club, there was a downward spiral this season which the owners feared the club would go from Champions to the Championship. The decision to replace the Tinkerman with Craig Shakespeare could turn out to be a masterstroke of ingeniousness as the long-serving Leicester coach is now potentially on the verge of topping the Italian’s incredible achievement. In his first permanent managerial role, the Englishman has won three games out of three, all of which were regarded as difficult ties. He started his tenure as a caretaker manager with a impressive 3-1 win over top four contenders Liverpool, followed by another 3-1 win over relegation rivals Hull City. The 53-year-old was officially appointed head coach following those results and celebrated his first game as manager in style by guiding the East Midlands club to a performance that resembled the title winning side of ten months ago. The Foxes pressed with intensity, they were exquisite on the counter attack, as well as demonstrating the passion, determination and steel to get themselves past the finish line. 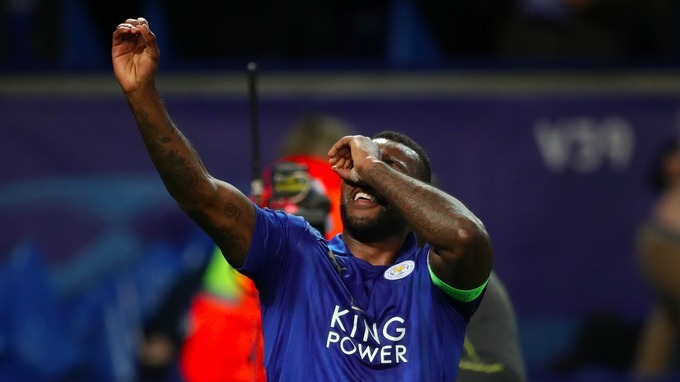 Leicester skipper Wes Morgan opened the scoring in the 27th minute after bundling in a Riyad Mahrez freekick. The African player of the year whipped a cross into the back-post where Morgan diverted the ball past Sevilla goalkeeper Rico with his knee. Sevilla were inches away from equalising when Sergio Escudero unleashed a screamer from 25 yards out which bounced off the crossbar. Sevilla’s top-scorer Wissam Ben Yedder then skied the rebound well over the bar. The Foxes doubled their lead in the 54th minute to raise the roof at the King Power Stadium. Mark Albrighton controlled the ball mid-air, shifted it to his left foot then smashed a low drive into the bottom corner. Sevilla were reduced to ten men in the 74th minute when Samir Nasri was sent off following a bust-up with Jamie Vardy. The former Manchester City star was shown a second yellow card for appearing to headbutt the England striker. 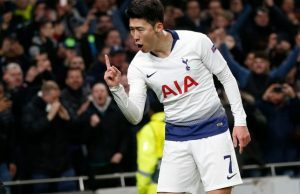 The visitors could have levelled the tie on aggregate but another former Premier League player effectively ended their chances of winning a European competition for the fourth successive season. Vitolo won a penalty after dinking the ball over the onrushing Kasper Schmeichel who clattered into the Spanish winger. Former Stoke midfielder Steven N’Zonzi had his tame penalty saved by the Leicester ‘keeper. The Premier League champions held on and resisted late pressure from the five-time UEFA cup winners. They are the first English team to progress to the quarter-finals this season, joining Barcelona, Real Madrid, Bayern Munich, Borussia Dortmund and Juventus in Friday’s draw.